The National Folk Festival is reportedly accepting performer applications for the 2018 festival that will be held on September 7-9, in Salisbury. 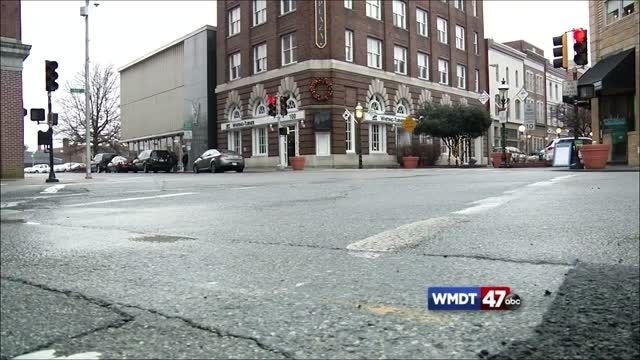 Officials say that applications can be submitted through the website Sonicbids, which is an online matchmaker that connects musicians with performance opportunities, or by mail sent to the National Folk Festival office in Downtown Salisbury. The deadline to apply is April 30, 2018. Typically, the festival gets submissions from about 2,000 artists annually, although only 25-30 can be selected. Officials say that over the course of the National's three year residency in Salisbury, it will present a diversity of performers and traditions. The City of Salisbury says that quality and authenticity are the main selection criteria for artists. The National Folk Festival's approach to programming focuses on presenting "traditional" arts — deeply held cultural expressions that are passed on through time in families in communities and in tribal, ethnic, religious, regional and occupational groups. It reportedly presents artists who are firmly rooted in the cultural community from which their music, dance or other art form derives, rather than interpreters of tradition- no matter how accomplished. Officials say that the Festival works to be inclusive in terms of race, ethnicity and region, and that the Festival will incorporate blues, rockabilly, gospel, kelzmer, jazz, bluegrass, breakdance, cowboy, polka, tamburitza, old time and mariachi to western swing, honky-tonk, beat box, rhythm and blues, and zydeco, along with traditional music and dance from Cajun, Native American, Celtic, Middle Eastern, Caribbean, Asian, Appalachian, Latin American, African and Pacific Islander cultures. Over three days, audiences will reportedly get to see hundreds of artists representing cultural traditions from across the state, nation and world. Those interested in performing at the National Folk Festival will have to include: audio and/or video samples/links, biographical information and press materials. The materials will not be given back. All materials received will reportedly be logged in, and will receive a first review to review quality, authenticity and appropriateness. Qualified submissions will be brought before the programming advisory group for further consideration. Artists will not be contacted unless the festival is interested in pursuing festival performance possibilities. The high standards of excellence to which the National Folk Festival follows makes the selection of performing artists a highly competitive process. Officials say that its policy of the National Folk Festival to present an entirely festival annually, with no repetition of artists. For more information, people can go here.